turkey leftovers - 10 oz. water chestnuts, drained and chopped - 4 oz. rice vinegar - 1 tbsp. 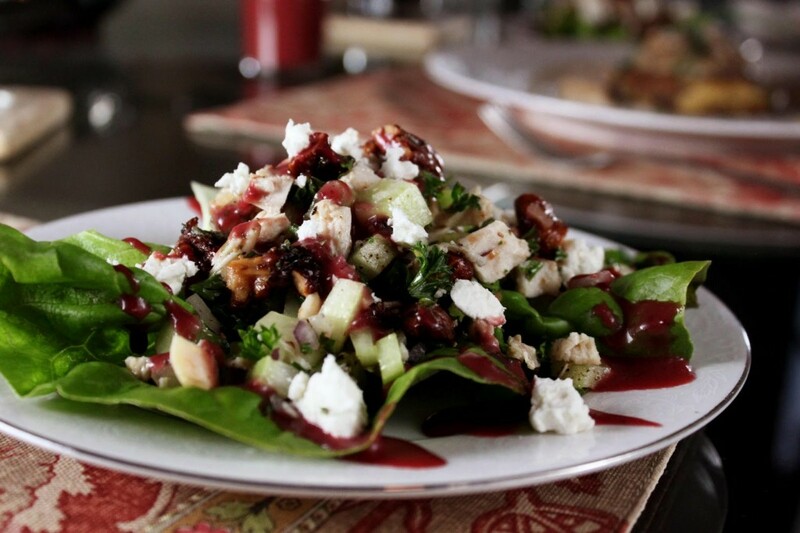 Make vinaigrette: combine salad oil, Balsamic Vinegar with Garlic, Cranberry Garlic Rum Preserve and salt and pepper to taste. Mix turkey, water chestnuts, mayonnaise, raisins, rice vinegar and pecans together so that they are well coated. 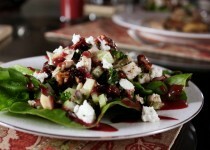 Place turkey salad on a bed of greens and drizzle with Cranberry Balsamic Vinaigrette.